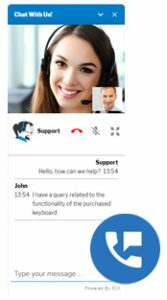 The 3CX Live Chat & Talk plugin allows your website visitors to chat and call your company in real-time. No need to call your 800 number – they can connect with a single click. 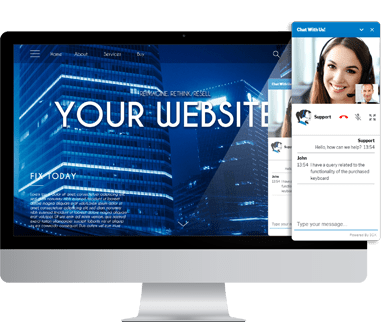 Connect visitors to your call centre or sales team and watch conversion rates skyrocket! 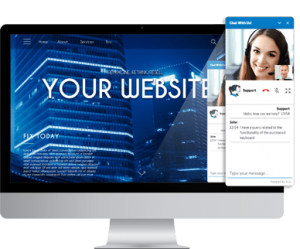 Calls are forwarded to your phone system free of charge using WebRTC technology. Keep all your communications on one platform and save admin time, learning curve and monthly subscriptions! Your agents will love it and so will your customers! The plugin is free, the calls and chats are free – all you need is 3CX Phone System. 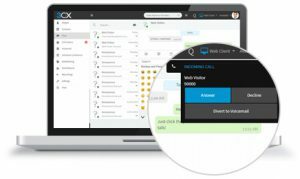 While there are many chat plugins available, only 3CX offers you the ability to elevate chats with your website visitors to voice or video calls – ‘cause sometimes text chat just isn’t enough!